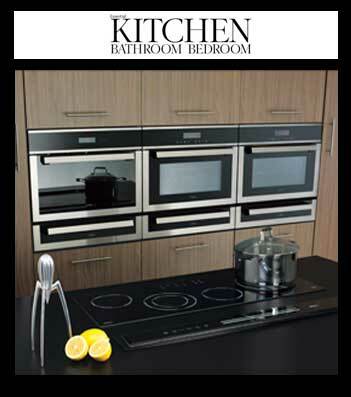 CDA’s compact ovens range feature in the March edition of Kitchens, Bedrooms & Bathrooms magazine. The SV410SS compact steam oven has a modernistic black glass and stainless steel design. The gentle process of steam cooking preserves vitamins and minerals, whilst maintaining the shape and texture of your food and being better for you too. The SV470SS is a compact, multifunctional, electric pyrolytic oven. Features include: electronic programmer with LCD back light, touch control, interior light, child lock, cooling fan and removable glass door for cleaning. With 9 functions, stylish design and the help of 3 pyrolytic functions it is perfect for the practical and modern home. The SV451SS is a unique compact appliance with microwave, grill and fan oven, electronic programmer with LCD back light, touch control, child lock, cooling fan, double glazed door, microwave, grill- half and full options, fan oven, auto and manual defrost, keep warm function, acoustic end programme signal, switch off option for turntable and double level cooking availability. Below this is the SVW141SS Warming Drawer, the perfect partner for a CDA oven, allowing you to heat your plates to the right temperature, or keep food warm ready for serving.